To be honest, I had absolutely no idea that Upper Deck was changing Black Diamond's configuration. I hadn't kept up with it at all, and so when it released today I was in shock at the price and the product configuration. 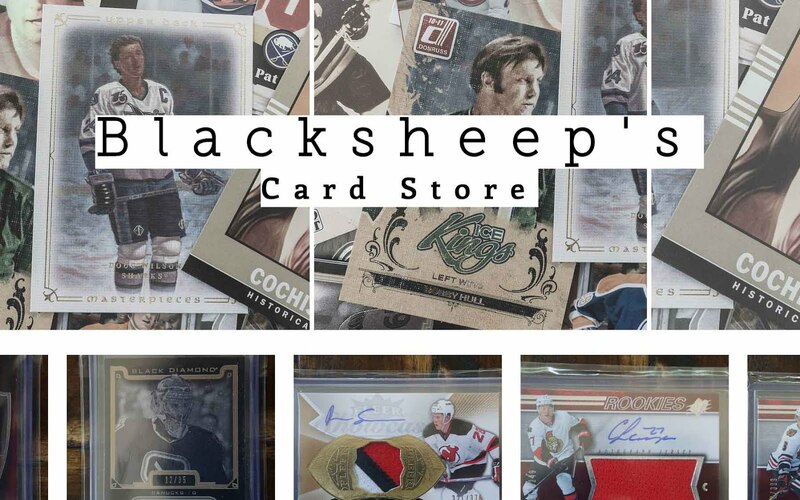 Upper Deck has completely re-done Black Diamond into a high-end one-pack-per-box type product with a high-end price tag to go along with it. I'm curious to see if the change was worth a good one. Pack/boxes of Black Diamond only come with one base card this year. The standard base cards are numbered to 199 and have a white look to them. Unfortunately, I didn't get a standard base card to show you... I got a black parallel version numbered to 99. The standard base card and the black variation differ in their border color as well as the image in the middle. The standard base cards are in color while these are in a foil black and white. The look of the base cards are actually quite good. They have the elegance of a high-end brand and includes a little bit of foil that gives a nod to the Black Diamond of old. 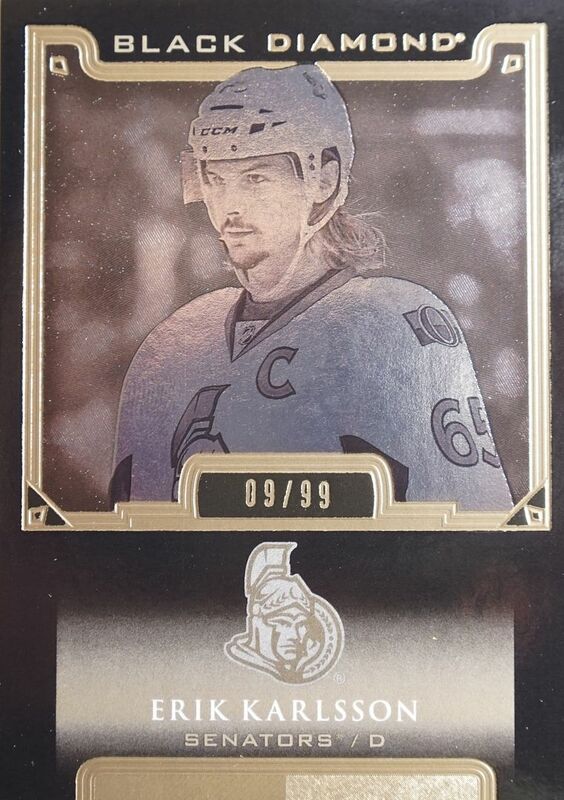 I'm sure there will be those out there who miss the Black Diamond base from the past, but these cards do look very nice and are exactly what a higher-end Black Diamond base card should be. The back of the base card also features and elegant looking design. Just like the front, the back exudes quality. There's a simple beauty here that screams of higher-end card designs. It's a job well done by Upper Deck. One more thing I'd like to mention is the card numbering. These cards don't have standard numbering. Instead we get 'BDB', which I'm guessing stands for Black Diamond Base. Next to that is a two letter abbreviation for the player. Why did UD choose to do it this way? Beats me! Rookie Gems are back this year but this time some contain real gemstones in them. I guess when Upper Deck elevates a product they really go all out! 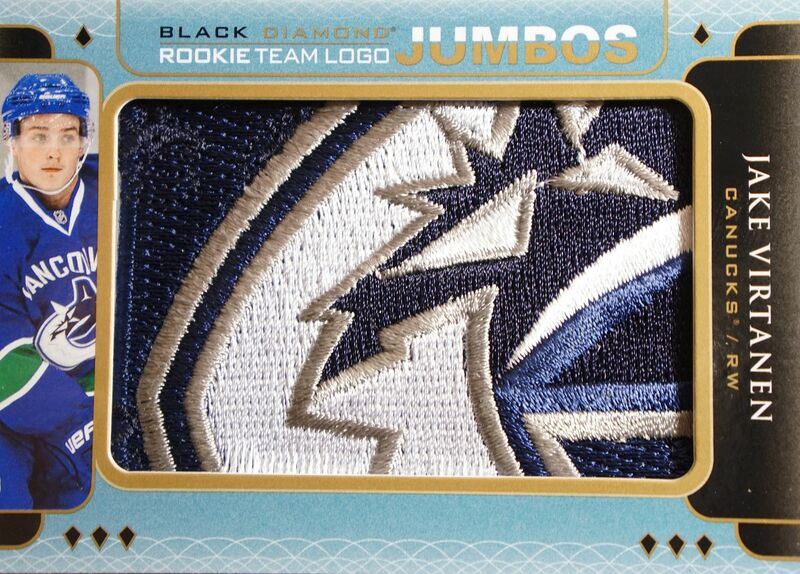 Being a one pack product now, all the hits in Black Diamond have been concentrated into a single pack. Gone are all the extra base cards you used to get normally - it's just hits and limited serial numbered stuff. Each box also comes with a one-card pack of Exquisite. 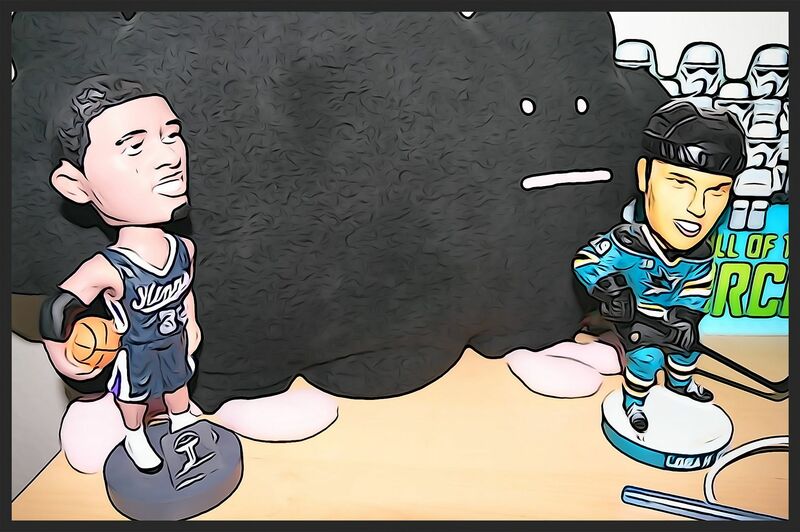 Exquisite has been Upper Deck's highest end brand in other sports, but it looks like Upper Deck wants to see how it goes with hockey. Lucky for us! 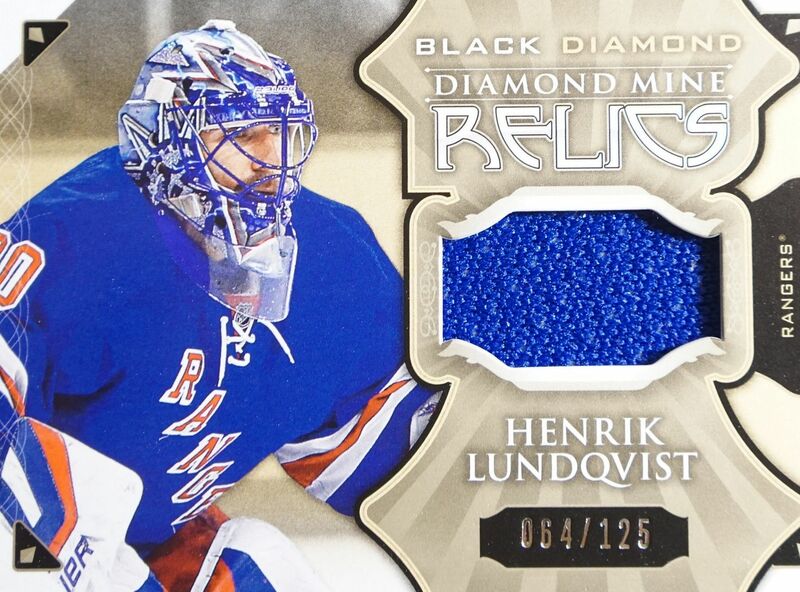 This Henrik Lundqvist jersey card was probably the most basic hit out of the break. It features serial numbering to 125 and contains a relatively small piece of jersey. For being just a jersey card it is pretty girthy - patch thickness. I guess higher tiered versions of this type of card would have better memorabilia embedded within. A better memorabilia card was this patch parallel card numbered to 35. It features a medium piece of patch where the team logo was on the base card. The placement of the patch piece is just about perfect and creates the look of a well-balanced card. The autograph I pulled was part of the Rookie Signature Placards set. These cards remind me of Draft Boards, but rather than having those, the rookies have signed on a piece of generic plastic board. 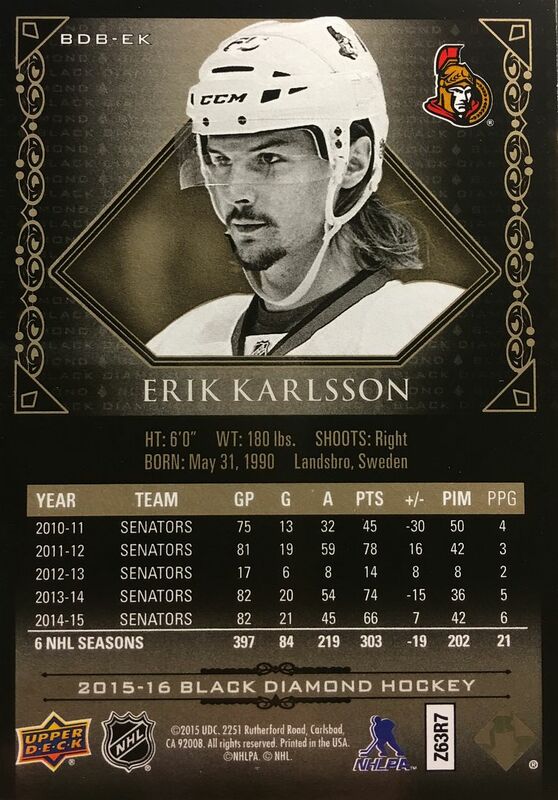 The cards look good enough, but I can't help but feel these cards are trying to use the appeal of The Cup Draft Board cards to gain popularity. The card I disliked the most out of my pulls was this manufactured giant patch card. Upper Deck has been doing this in a few different sets throughout their brands recently. I dislike the fact that these patch puzzle cards look so much like a really sweet hit when it is anything but that. I'm sure there were more than a few collectors who initially thought they had pulled something awesome from their pack. Let's just get rid of these types of cards, please! 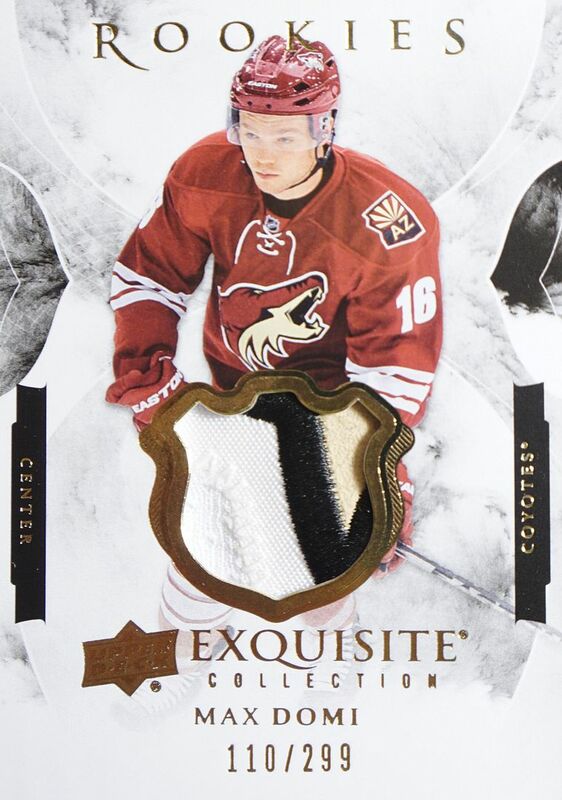 My Exquisite pack netted me a nice patch card of rookie Max Domi. I think the Exquisite treatment for hockey really works. It's pretty awesome to get an Exquisite card as a bonus here. There are a lot of Exquisite cards possible to pull... even base cards... so what you get can be really hit or miss. Aside from my pulls, there are so many other things that collectors can get out of Black Diamond this year. I'm sure the biggest draw must be the real diamond cards though. I'm sure those will fetch a very pretty penny. I have seen some very negative reaction to Black Diamond on the web. And I can totally understand the points that people are making. I mean, Black Diamond as we knew it just doesn't exist anymore. Maybe Upper Deck could have done something more gradually, but they decided to go all out and re-vamp the brand. I don't think that's a bad thing at all. It's pretty cool that Black Diamond is now an upper tier product. I mean... with the word 'diamond' in it, it should be! Though the cards look great and you can even get Exquisite cards in your box, there are aspects of Black Diamond that I absolutely don't like. The biggest is the manufactured patch puzzle card. I think those cards just don't need to be here, or in any product... ever. I also think that for the asking price of around $250 there should be a better amount of actual hits per pack/box. As it stands, Black Diamond is firmly in the overpriced category. These are nice cards, but maybe just not that nice. That Max Domi card is amazing. This whole product seems really good. lots of good improvemwnts ! Pretty happy to see how this product turned! Great review, loved the Max Domi patch! Surprised by the positivity in the comments. Maybe its because a weakened Australian dollar means a product like this becomes a hefty investment, but I don't feel good about this at all. Sure Black Diamond needed a revamp but they've scorched the earth and started over with something that just doesn't feel worth the money. Far too many breaks I've seen are littered with sticker autos, redemptions and manufactured patches. Even the booklets are filled with deflating single colour swatches. I'm not one to complain about a box not yielding a return, but this one looks bad. I'd sooner pay this sort of money for a box of Panini Prime... or even a couple of boxes of 14/15 SP Game Used. + Good base card design, especially the backs! + The Exquisite cards do look good. Maybe they should've produced a full product of that, with a Black Diamond bonus pack instead? -Manufactured patches? And I thought event worn jersey pieces was bad... "Innovations" like these make you loose interest in the hobby. Feel ashamed, UD! -Not every product can be expensive one-pack stories, UD has to understand that. There's no real cheaper but good product left, like when Panini produced Score as their cheapest product - with a guaranteed hit in it! Imagine: manufactured patches in a $250.00 box. Card companies seem to be producing cards in function of group breaks now. Look at the prices of a hobby box even, the cheapest ones. Who can afford them except somebody with pretty deep pocket. As far as I'm concerned, it's over with buying boxes; I prefer to buy single cards. I REALLY don't like the way this nice hobby is going. 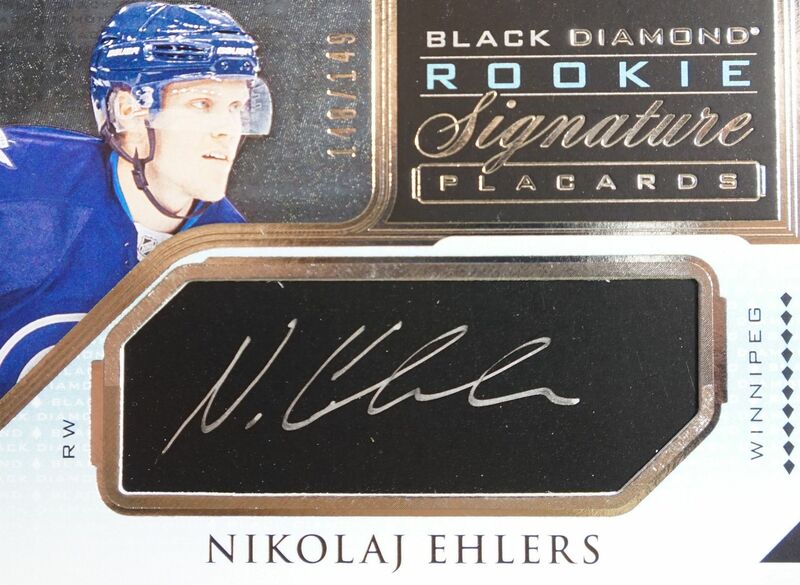 I love that Ehlers autographed card! Nice box! Love the box Break! But unfortunately I cant afford Black Diamond anymore. 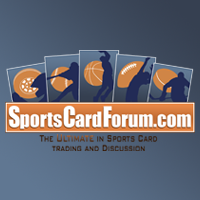 Its just another high end Upper Deck brand. Thanks as always for the review! About a week ago I read about the format change to BD and had been looking forward to your take on it. I'm impressed in that they've upped their game significantly from previous releases - apparently people loved the quad diamond system, but not me. I'm slightly disappointed, however, in the result - while it's definitely a premium brand now, I'm not sure it quite justifies the price. The Virtanen "patch" in particular is a let down. As you said - it looks great, and I was confused as to why it was your least favourite... until I read on and realized what it was. Great box ! Love Max do I patch card! Black Diamond is now a luxury product. The base cards, jerseys, patchs and autos are awesome. This is my second favourite product after o pee chee. I think it is weird that they suddenly changed. I also think Upper Deck has enough high end products. Thanks for sharing your break as usual, Luke! The new design looks pretty nice but I completely agree with the manufactured patches' place (or lack of) in a ~$250/box. Don't get me wrong, the patch looks fairly well-done (Canucks bias), but at the same time, it's not price-point and product appropriate. When OPC came out with those manufactured patches, there was an uproar on SCF, and that product was geared towards the higher-low-end/mid-end collector. I can't imagine the reactions getting any better as the product gets broken more and more over the next couple of weeks. However, as always, much appreciated for the opportunity at your giveaway. 2015-16 black diamond is actually pretty good. Although, I think the manufactured patches are evil tricks that have most likely fooled very many people.One problem is that 300 dollars is a little bit steep for me. agreed it seems a little pricey for what you get to add up all the prices to sell those it wouldn't quite come in as much as the box costs especially for the canadian buyers as this box would come out to about 350 with the bad dollar and shipping but the cards look very nice. Not a fan of that manufactured patch either. the jersey card though for only being a jersey card looks really nice. Definitely a bigger and better change for Black Diamond. Pretty surprised by this drastic change. Got a little unlucky on the box, I saw some great ones out there. Keep up the great job, love your breaks! Nice video, I don't really like tho 250 price tag but like miller cause i pc canucks. I don't really like this new version. I used to buy quite a lot of Black Diamond even though you did not get much. It was still affordable. This is like Panini Prime and I think Prime was better. I'll have to pass on this one since it's 350$ here in Canada. You got a pretty nice box with that Domi patch and Ehlers auto though. Sure those manufactured patches are terrible, but there are even worse ones in this set. There are some on ebay for Montreal's Jacob de la Rose where the patch is obviously for the Ottawa Senators. 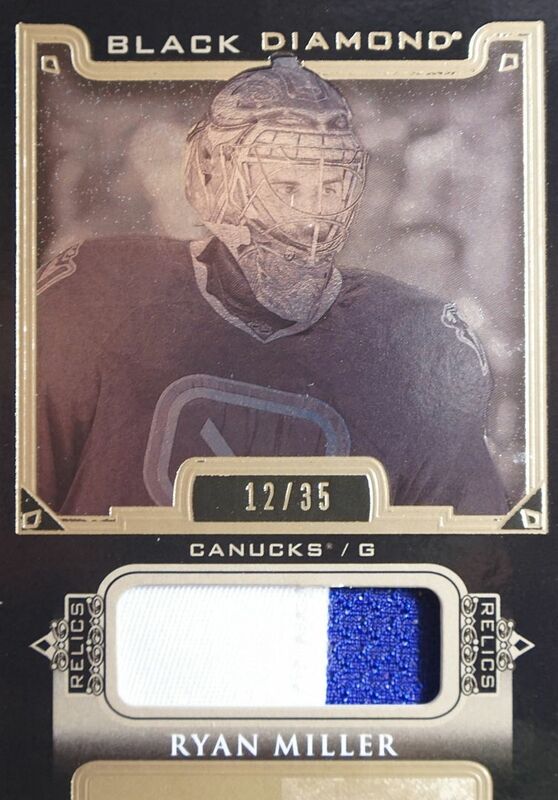 At least Virtanen's is a Canucks patch. Interesting twist. Too bad I can't afford it. Do not look at diamonds which are over your budget or you may be tempted to overspend. There is no point starting married life in debt over an engagement ring.